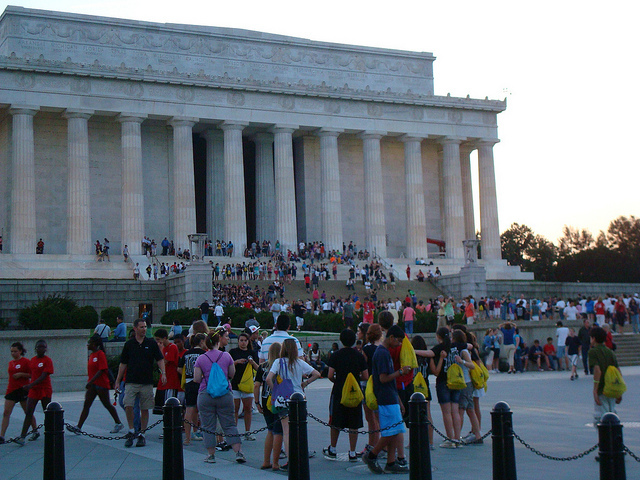 If you have ever visited Washington, D.C., you have most likely been to the National Mall (known also as the Mall). It is a large national park (more than 1,000 acres) managed by the National Park Service. 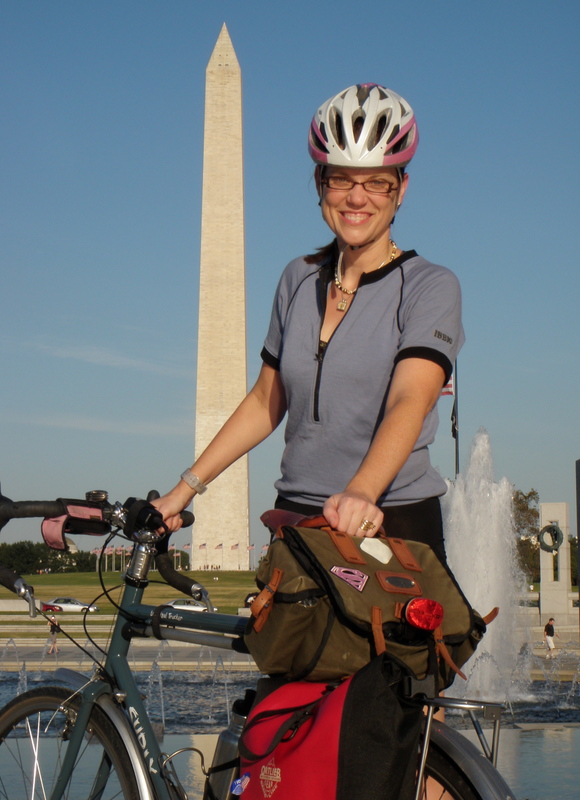 For Washington, D.C.-area cyclists, the Mall is a prime commuting zone. Many local cyclists traverse the area daily, including me. The Mall offers a nice expanse of car-free riding amid the limited green space of the city. It’s also prime tourist territory. According to the National Park Service website, thousands of people from all over the world go to the National Mall daily. Daily! I guess that makes sense. After all, it is a beautiful national park. In addition, the Mall is a popular recreational spot, where kickball leagues, ultimate Frisbee teams, soccer players, softball leagues, runners, and others gather to hang out and have a good time. You see? It truly is a park. While I’m certain bike commuters appreciate the beauty of the Mall, the main impetus for our use of this area is to get from home to our j-o-b’s as quickly as possible without the interference of vehicular traffic. I appreciate that. I’m one of those cyclists. The recreators? They spend most of their time off the main paths, or if they are out running, they know the walk-on-the-right-side-of-the-path drill. Multi-use population density on the Mall has become even more exacerbated with the reconstruction of the Reflecting Pool. Cyclists, commuters, and recreators are all funneled onto fewer paths than usual. It’s a real drag. While people usually find a way to make traffic flow on the Mall fairly smooth, things can take a turn toward the awkward or even perilous when bike commuters forget about the “park” aspect of the Mall and find themselves converging with these other groups. I’m sorry, cycling friends, but most tourists will walk in clumps, meander all over the path, and possibly turn or stop when you least expect. All the while, they have no clue that we are trying to get by them, let alone exist. It’s best to just accept that fact and plan our movement accordingly. If you can’t beat ’em, join ’em. A tourist took my picture on my commute! It will mostly likely not work to screech “Passing!” or repetitively ding a bike bell in the vain hope that some someone will hear you and move right. They won’t. First, they are too distracted by their own issues: map reading; monument-seeing; stroller-pushing; vacation-induced family dynamics; and who knows what else. Second, many of these groups don’t know the laws of the multi-use path, which include walking on the right and passing on the left. Tourists are generally not that clued in to the Mall dynamics. They’re just trying to make through their vacation unscathed. If that rare tourist does hear “Passing!” or notice a bell, they don’t know what to do. I’ve seen many a tourist just turn around and look at me, frozen, completely uncertain as to what their move should be. Or worse, my warning only serves to mobilize them into a more immediate collision path with my front wheel. Tourist thinks: Which left? OK, this left! Front wheel comes nearer, calamity approaching! Tourist realizes: Oh no! My other left. It’s best to just slow down the pace, use stealth, and quietly pedal around groups when the opportunity arises. The only outcome I see to aggressive cycling behavior is raining on somebody’s vacation. (“Remember our trip to Washington, honey? And those kamikaze cyclists?! I’m never going back there, ever!”) And who wants to do that? Not me, that’s who. I know it’s easier said than done. While tourists bring kind of a fun energy (and money!) to our city, they can be a frustrating obstacle to the commute when I’m just trying to get somewhere. And as a cyclist, I always feel at the bottom of the transportation food chain, (Cars, tour buses, people, strollers, dogs, puppies, squirrels, my bike and me), which is an ongoing bummer that I try to mentally rally against. 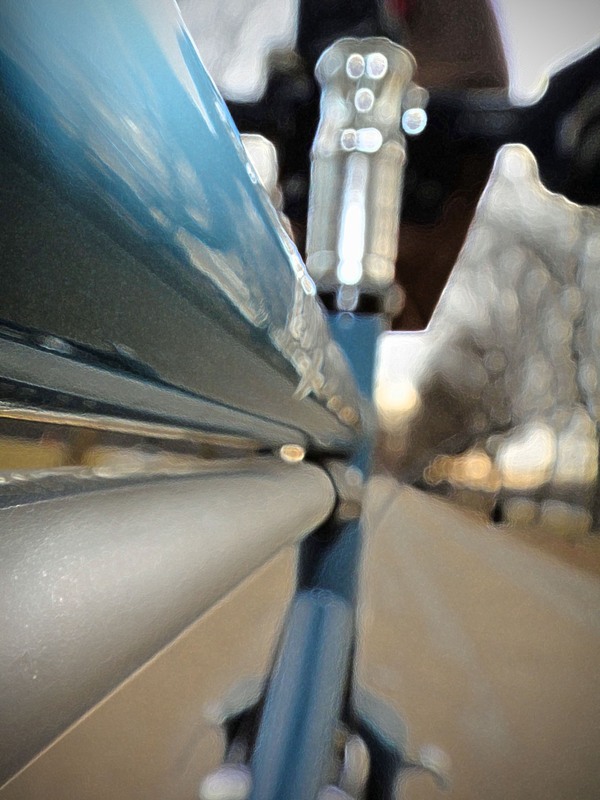 But I don’t want to be that cyclist that sticks in somebody’s memory as a thoughtless party pooper. 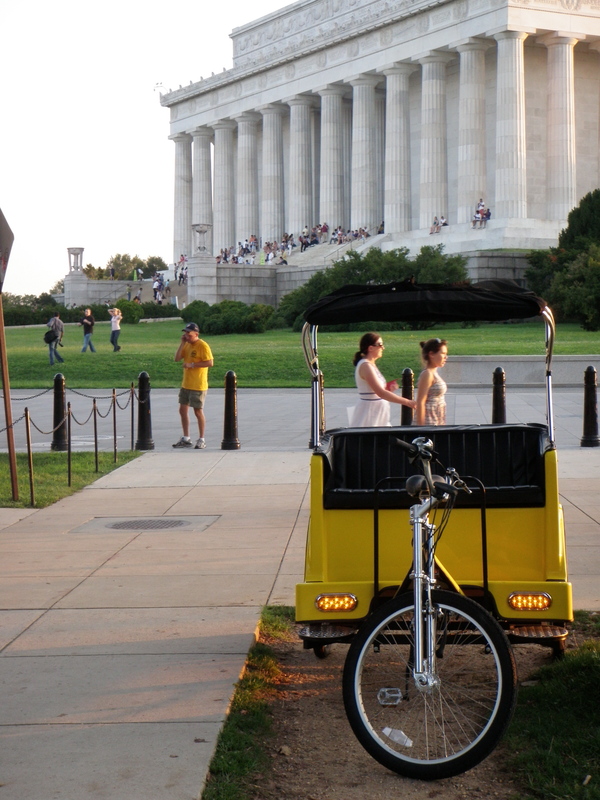 If I’m riding on the National Mall, I’m taking it slow. After all, it is a park. I’ll let you know how it goes. There are two Washingtons. One is Washington DC where people live and work and eat cupcakes. The other is Washingtonland, the theme park where nearly everything is free and people from all over the place come to crash in you guest room and wander the Mall. These touroids are a pain, especially at Cherry Blossom time. I try to treat them as I would like to be treated when I am stumbling around Londonland or Copenhagenland. It’s interesting to hear a cyclist complain about pedistrians. It sounds a lot like what the drivers say about cyclists on the roadways? Not meant to be a complaint, really, more about accepting the landscape as it is. Like Rootchopper says, it’s life in Washingtonland :)! Oh I know that! Enjoy your blog, see you in Paris. @trplay: Cool! See you in Paris! @rootchopper: I also must add that you made me laugh by talking about the cupcakes. ha ha ha!